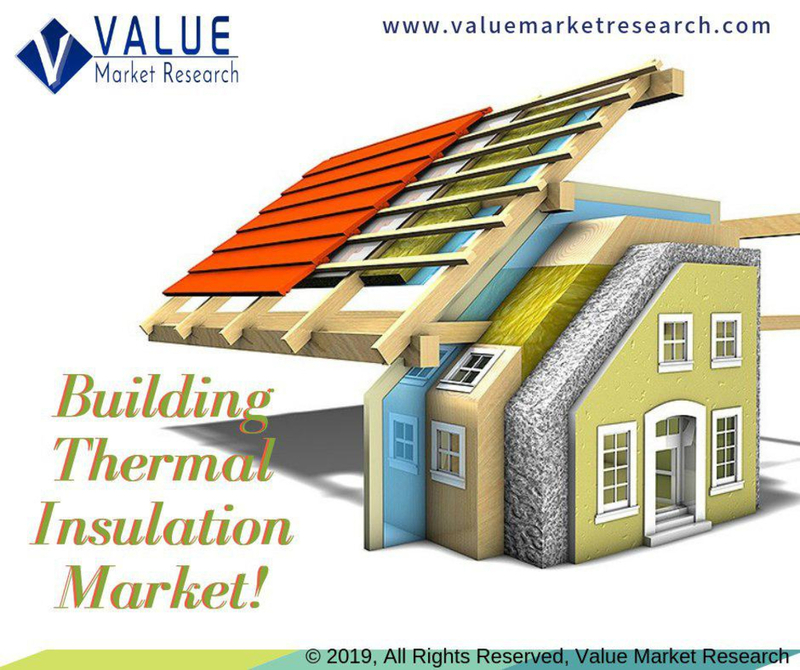 Building Thermal Insulation Market Report published by value market research, it provides a comprehensive market analysis which includes market size, share, value, growth, trends during forecast period 2019-2025 along with strategic development of the key player with their market share. Further, the market has been bifurcated into sub-segments with regional and country market with in-depth analysis. The report also covers detailed competitive landscape including company profiles of key players operating in the global market. The key players in the building thermal insulation market include BASF Polyurethanes, CertainTeed, Dow Building Solutions, Huntsman International, Johns Manville, Kingspan Group, Owens Corning and Saint-Gobain. An in-depth view of the competitive outlook includes future capacities, key mergers & acquisitions, financial overview, partnerships, collaborations, new product launches, new product developments and other developments with information in terms of H.Q. Rising construction activities across the globe coupled with increasing awareness towards reducing carbon footprint and the need for energy efficient structure, high energy cost in commercials buildings are expected to fuel the market growth. The establishment of various government rules and regulation reinforcing the demand of the thermal insulation products. Furthermore, technological advancement and having the properties like high durability, compressive strength, and ease of installation stimulating the product demand. On the flip side, volatility prices of raw materials and growing health concern may act as a roadblock to the market growth. This detailed market study is centered on the data obtained from multiple sources and is analyzed using numerous tools including porter’s five forces analysis, market attractiveness analysis and value chain analysis. These tools are employed to gain insights of the potential value of the market facilitating the business strategists with the latest growth opportunities. Additionally, these tools also provide a detailed analysis of each application/product segment in the global market of building thermal insulation. The broad building thermal insulation market has been sub-grouped into material, application and end-user. The report studies these subsets with respect to the geographical segmentation. The strategists can gain a detailed insight and devise appropriate strategies to target specific market. This detail will lead to a focused approach leading to identification of better opportunities. Furthermore, the report comprises of the geographical segmentation, which mainly focuses on current and forecast demand for building thermal insulation in North America, Europe, Asia Pacific, Latin America, and Middle East & Africa. The report further focuses on demand for individual application segments in all the regions.